New smart and portable indoor environment monitor by Want Some Air promises to safeguard your family from polluted air at home. A crowd-funding campaign to further improve the product is set-up and ready to be launched on September 3. WSA Ltd., an Estonian technology company focused on helping families and health enthusiasts breathe clean air at home, is exalted to share their product on Indiegogo in September. The theO indoor air monitor is designed to evaluate the levels of harmful pollutants found indoors and offer recommendations on how to keep them in check. 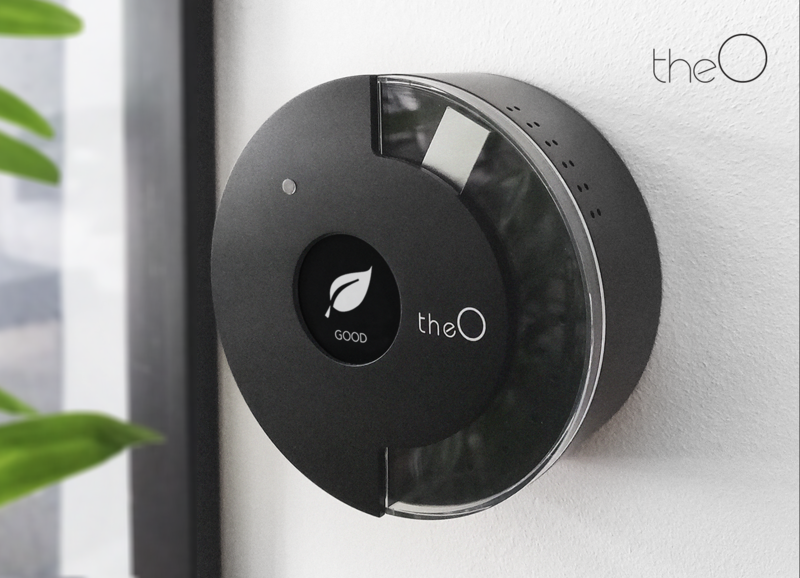 "Our flagship product, theO, keeps an eye on the indoor environment to be sure the air is good." CEO of WSA Ltd. Rando Rand said. "It's a device that makes sure nothing interferes with your sleep, and that you and your loved ones are in a safe and healthy environment. If something is not within the limits, theO will tell you." Fed by a long-lasting 3,7V DC battery, the gadget constantly keeps check of the levels of chemicals, dust, temperature, humidity, barometric pressure, light and sound levels, and Volatile Organic Compounds (VOC) in the air at your home, with the collected data easily accessible via device's app - which is compatible for iOS, Android and Microsoft devices. According to the National Human Activity Pattern Survey, we spend 90% of our time indoors, making it extremely important to keep the quality of the air there good. This is where theO comes in. If you want to become a backer of the project and to contribute for the further development of the product, you can do so by purchasing theO. Measures temperature, humidity, VOC, barometric pressure, sound level, light level and dust amount. Can be linked with various smart home solutions, the IFTTT.com platform, Amazon’s Alexa/Echo, NEST, etc. TheO was just an idea back in 2014. Many sleepless and creative nights later, the first prototype was born, followed by a second and improved version in 2017. The journey continues to this day. The team responsible for creating theO consists of CEO Rando Rand, Product Designer Katrin Koovit , Marketing Officer Evelin Trink, Web Designer Piret Alvre and Channel Manager Mathew Haugh.